Hello! Hope everyone is doing ok on this HOT Monday! It's a little after 5:00 here and 93 degrees....Whew! 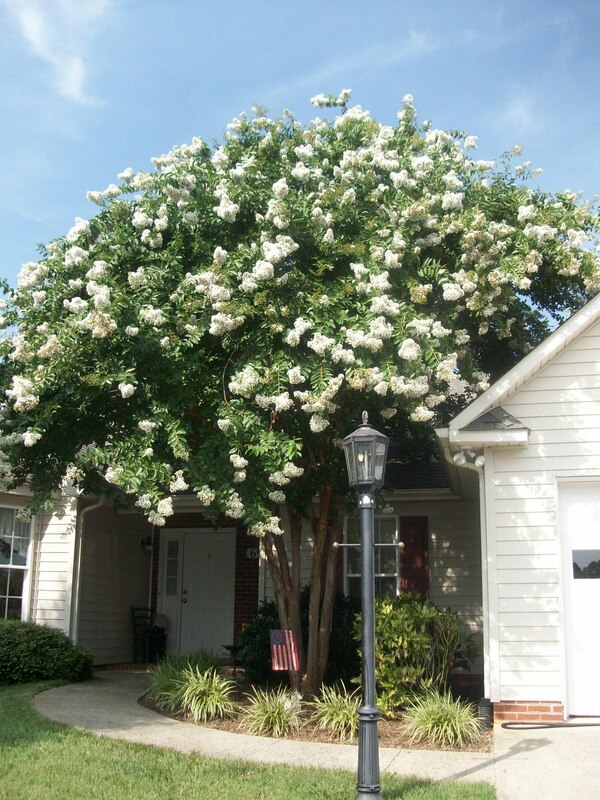 I just came in from doing some errands and noticed how almost perfect this is....our BEAUTIFUL Crepe Myrtle Tree. Life has become quite hectic in the Freshwater household as of late.....too many irons in the fire. I haven't had much of a chance to be on here lately...and not quite sure if anyone has missed me. LOL!! I realized recently tho that I really loved blogging...I'm thinking I should try to find time to do more than I have been. I really have enjoyed sharing my thoughts and ideas with everyone. But on to my real story. I developed a really nice following there, actually rather quickly. I couldn't keep my booth full. Folks would come in and make a bee-line to my space. Robin (the other owner) told me one day that I could sell almost anything, even stitcks, if it had homespun tied on it.....wala! This is what I went home and made. 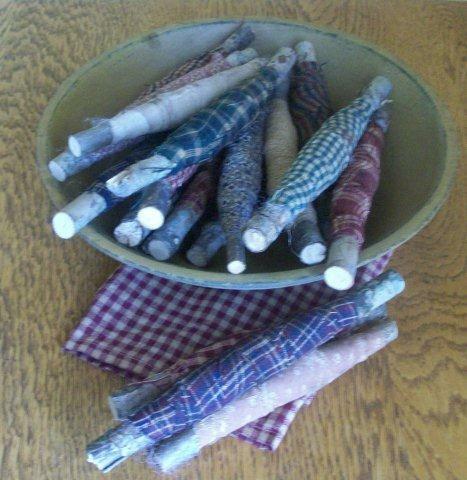 I have brought back "RAG TWIGS" to my web site. A really prim alternative to rag balls. It's amazing how many I have sold...Personally, I love them. And such a conversation piece! Afterthought, I want you all to know that I kept a booth in that store for over 9 years...until the day the doors closed for good, a couple of years ago. It was a most rewarding experience...one that I will always remember. and later this week, two new dolls! I'll be back soon! Thanks for stopping by. a Fabulous SALE is still going on over at my WEBSITE! Check it out if you get a chance! I would love to hear from you all! We are back from a wonderful cruise vacation! So much to share with you all, but that will be another day.